Free shipping. Buy direct from HP. See customer reviews and comparisons for the IOGEAR Video Console. Upgrades and savings on select products. 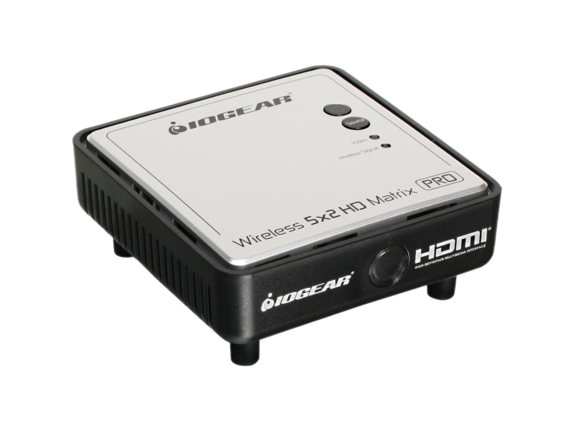 IOGEAR's GWHDRX01, Wireless HDMI Receiver is an extension or add-on to the Long Range Wireless 5x2 HDMI Matrix PRO (GWHDMS52MB), as it gives the ability to stream to another HDTV or projector and is capable of receiving Full HD 1080p 60Hz content with digital audio up to 200 feet away from the Long Range Wireless 5x2 HDMI Matrix PRO's transmitter. The Wireless HDMI Receiver does not require a line-of-sight placement and makes placing additional HDTVs or projector's in not so common areas a snap. Up to a total of 4 Wireless HDMI Receivers can be utilized on one (1) GWHDMS52MB Transmitter up to 200 feet away. It enables a quick, simple, and flexible means of installing multi-room or multi-display set ups and provides the freedom of placing additional displays in not so common areas with ease.